Welcome to the Indiana Statewide Independent Living Council! Indiana Statewide Independent Living Council (INSILC), was established by the Rehabilitation Act of 1973, as amended. INSILC is a 501c3 non-profit, governor-appointed council, independent and autonomous from the state, federally-required to be led by a majority of individuals with disabilities from all regions of Indiana with different backgrounds and experiences tasked with promoting the philosophy of Independent Living. INSILC believes people with disabilities should have the same civil rights, choices, options, and control over their lives as do people without disabilities. Advocates in Action is an advanced leadership and systemic advocacy program in Indiana that builds greater capacity within disability change agents. It is a 5-month long training and practicum that brings diverse national disability rights leaders to Indianapolis to work with local disability leaders to create a network of strong advocates who will Be The Voice for change in Indiana. Advocates in Action is a competitive program for people with disabilities, by people with disabilities. Through a competitive application process, INSILC will select a cohort of up to 15 people with ALL types of disabilities. Advocates in Action takes place in Indianapolis over the course of 5 Sessions from June-October, 2019. Room/board, food and disability accommodation-related costs (including travel/transportation) are covered by INSILC. Advocates in Action is a program committed to an intersectional approach to disability justice, and the successful candidate will fight for ALL people with disabilities and identities. Advocates in Action is looking for strong advocates who recognize the importance of growth and change, who value teamwork, and who are committed to long-term change through action. 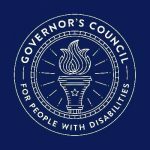 Advocates in Action would not be possible without the generous support from Indiana Governor’s Council for People with Disabilities. For INSILC meeting accommodation requests, please contact the INSILC Executive Director, Amber O’Haver, at 1-844-4INSILC ext. 700 or by email at aohaver@INSILC.org. Accommodation requests should be made at least five business days in advance to help to ensure availability of the accommodation.